The COBB Tuning Lightweight Main Pulley is CAD designed and CNC machines from Billet 6061-T6 and anodized to withstanding the toughest of under engine conditions. Replacing the factory main pulley, the lightweight unit improves acceleration by reducing the rotational mass of the stock unit by as much as 4lbs. 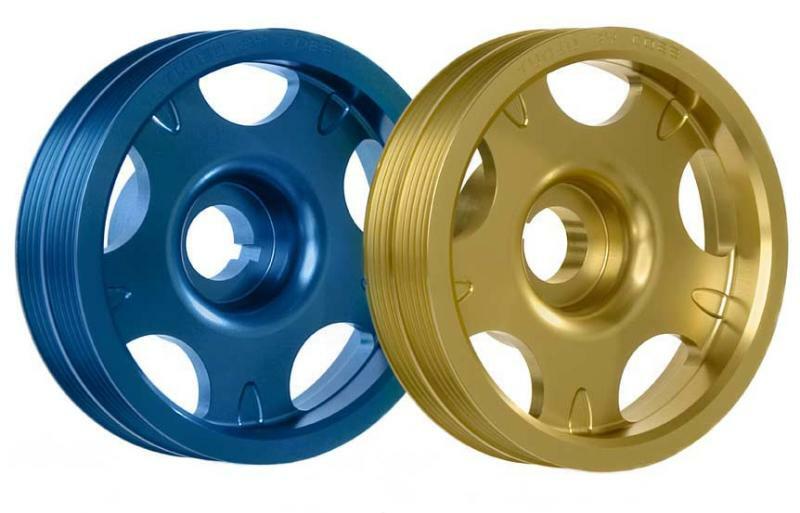 The pulley comes specifically maintaining the stock diameter so as to not under drive and cause electrical woes for the owner, as well as maintaining the stock drive belt surface to make for a quick and easy install by even the most novice of owners.